As a writer, do you see yourself as an artist, an entrepreneur, or a bit of both? Writers on twitter speak out. This morning I posted a question on twitter as I was getting ready to take a break for lunch. I got so many responses that lunch had to wait a while. PaintswithWords: A writer is an artist, an entrepreneur, a researcher, a student of life, a philosopher. cswriter59: Right now I'm an artist perfecting my craft. AuthorofPatches: A dash of both is necessary nowadays, tho not especially compatible. Biz hustle can easily drain from creativity I think. nestnestnest: Less about philosophy and more about how do I make money from this thing I like to do....? marisabirns: Perhaps at one time a writer was solely an artist. Now a writer needs some entrepreneurial skills, too. Sally_G: Great question! A bit of both, with Teacher, Philosopher, Dreamer and Historian thrown in for good measure. Oh, and poet too! DetailsDivas: Definitely both! Creativity is the foundation, but being able to manage it all is the entrepreneurial side of the business. ShadyMutton: Gonna have to say artist- cause I write to express and create. If it grows into something beyond that - icing on the cake. julichilliard: It also helps to have a very supportive spouse. octoberrose: I'm willing to work to support my writing. If it sells, great! But I aim to serve my writing, rather than make it serve me. NorthPrince: Writer and entrepreneur. Without the second, nobody will ever hear of the first! myafd: I think the days of a writer just being able to write are gone. Whether traditional or self published, must learn marketing. AngelMenchan: I am both ~ an artistic entrepreneur. If you want to write for a living, it seems that artist & entrepreneur must learn to co-exist. The challenge is in how to balance the two. Knowing when it's helpful to be solely one or the other, and when you need to wear both hats at once. It can be very confusing, as well as overwhelming. One thing I've discovered is that being a "reluctant entrepreneur," as @JodiWhisenhunt described, doesn't serve my art. Only when you fling yourself fully into both, does the fullness of your gift come alive so that it can be shared with others. So I want to find a way to open up my entrepreneurial passion, that my art may flourish. The happy medium I've found is adding a dash of entrepreneurial spirit to my art, and a large dose of creativity to my business. Many use the term authorpreneur, to describe what it means to be a writer, today. It's #WriterWednesday on Twitter. Here Are 5 of My Favorite Writers on Twitter. To participate, all you have to do is recommend your favorite writers in a tweet, and add the hashtag #WriterWednesday to your post. If you want to find writers to follow on twitter, simply insert the hashtag #WriterWednesday in the search box on your twitter homepage, and start checking out the writers being recommended. Jane Friedman is the editorial director and publisher of the Writer's Digest community of products and services: Writer's Digest Books, Writer's Digest Magazine, and the Writer's Market series. As busy as all that keeps her, she still makes time to blog and tweet. Her Writer's Digest blog, There Are No Rules, is amazingly helpful and should be bookmarked by every writer. It includes a weeky Best Tweets for Writers post that hightlights tweets that are linked to great articles of interest to writers. Her tweets are just as helpful. Follow Her! Mark David Gerson is a dear friend of mine that I met on twitter! He wrote one of my all time favorite books on writing The Voice of the Muse: Answering the Call to Write. It is imbued with Mark David's wisdom and warmth, grew out of his own writing experience (his novel The MoonQuest, and The Voice of the Muse have won many book awards), and his years as a creativity coach. His blog The Voice of Your Muse carries on this wonderful abundance of riches, as does his tweets on twitter. Follow Him! Donna Kozik is the creator of the wonderful Write a Book in a Weekend Events. She's refined the book writing process into a system that helps people write a book (or at least a first draft) FAST! She generously shares writing tips on twitter, and tweets her support to those on the book writing journey. Follow Her! Joanna Penn is an author, speaker and business consultant based in Australia (although she's British!). She is the author of How to Enjoy Your Job, and enjoyed the writing process so much that she wrote From Idea to Book, and From Book to Market. 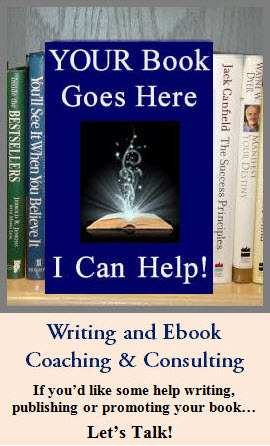 Her website, The Creative Penn, has great articles, lots of writing freebies, and is an excellent example of a well thought-out and executed writer's website. Follow Her! Debbie Ridpath Ohi is a freelance writer and illustrator based in Toronto, and the author of The Writer’s Online Marketplace (Writer’s Digest Books, 2001). Her blog, InkyGirl.com: Daily Diversions for Writers, is a fabulous resource for writers filled with informative articles, twitter tips, and her wonderful "Will Write for Chocolate" cartoons! Her twitter stream is equally full of writerly delights. Follow Her! I'm an award winning author and creativity coach, the creator and host of #writechat (a live weekly chat for writers on Twitter every Sunday from 12pm-3pm PST, attended by 200-300 writers weekly), and the founder of the WritingSpirit Book Writers Community. 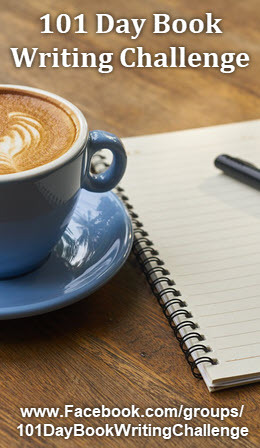 There are lots of great articles, writing resources, and twitter tips at my WritingSpirit Blog, and I'm currently writing Brainstorming Your Blog to help writers brainstorm their blog strategy, content, and promotion. Follow Me for writing and blogging tips, #writechat news, and a whole lot more! Who are your favorite writers on twitter? Twitter Lists allow users to create follow lists that are separate from their main account, and whose tweets won't appear on their twitter stream. Some writers lump all of their favorite literary folk together in one list, while others create separate lists for authors, literary agents, publishers, etc. Oh... JK, would you please pass the pepper. I have a phrase that's a little dull and need's some spicing up. Who are you partying with on twitter's lists?